Visceral Manipulation - Be Healthy. Stay Healthy. Massage. "An organ in good health has physiologic motion." 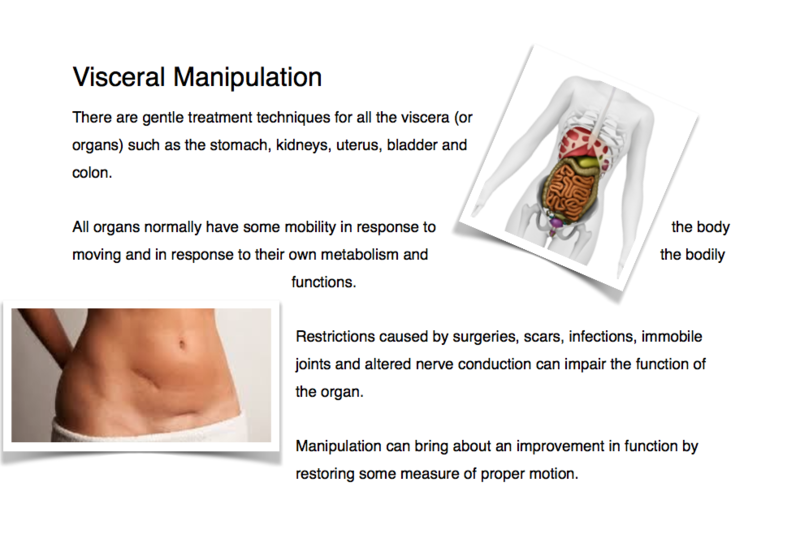 Visceral Manipulation was developed by French Osteopath, Jean Pierre Barral. He was named one of Time Magazine's Top Six Innovators for Alternative Medicine to watch in the new millennium. This delicate manual therapy is often cited as a missing link in the treatment of recurring musculoskeletal pain, postural distortions and biomechanical dysfunction. 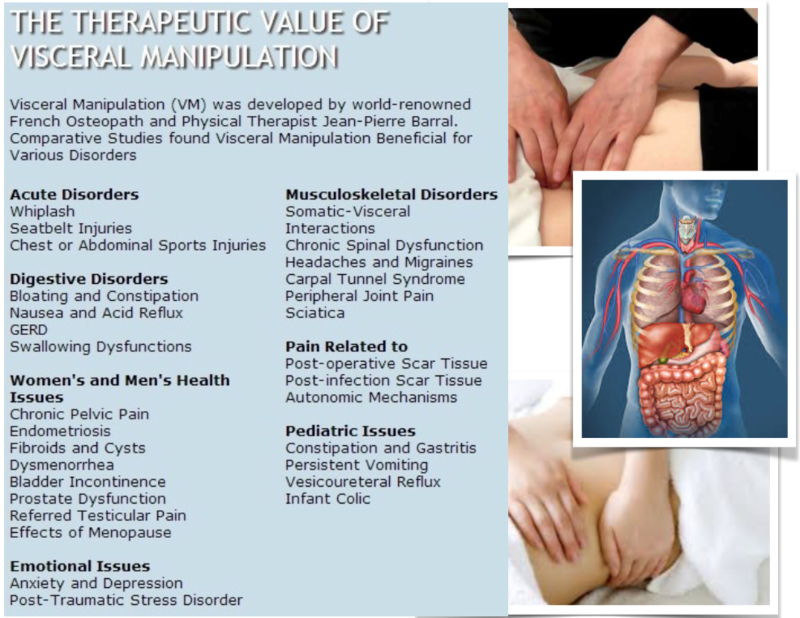 ​​Visceral Manipulation is used to locate and solve problems throughout the body. It encourages your own natural mechanism to improve the function of your organs, dissipate the negative effects of stress, enhance mobility of the musculoskeletal system through the connective tissue attachments, and influence general metabolism. This article from March 6, 2017 Vogue magazine is a good description of one persons experience having received just one session of organ massage. What I have seen and heard from patients is the immediate relief of discomfort that was unexplained and/or unable to be diagnosed as something that could be helped by an allopathic doctor or a pharmaceutical prescription. I use visceral manipulation techniques for fertility massage with great success. Visceral manipulation or as most people like to call it abdominal massage has increased my own flexibility of the whole body. Released restrictions of the viscera have given me breathing room and freedom from restriction to hips, shoulders and knees. ​Have a look at the blog article I wrote just after I took the course. Support you health with massage techniques at home.